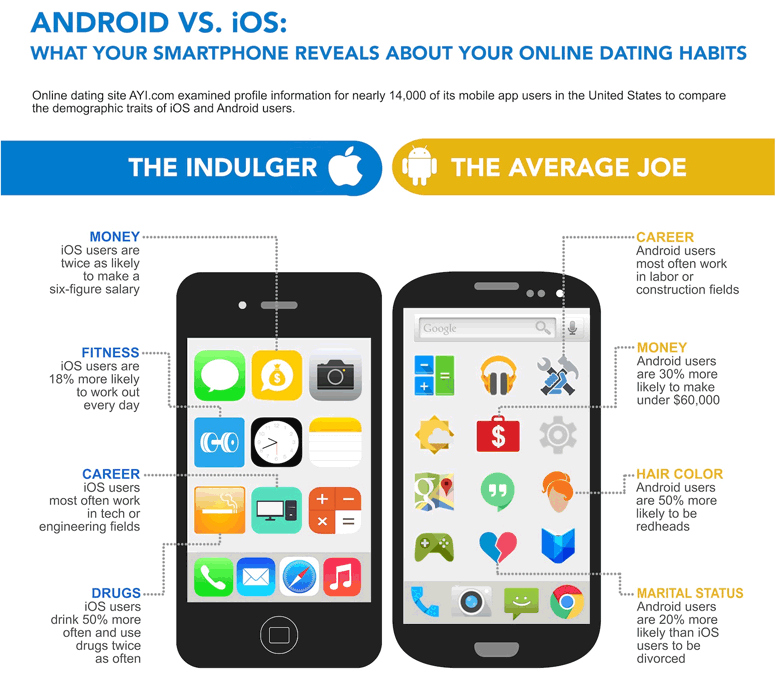 Here are some fun insights into what your smartphone says about you. After reading this, I think my next phone will be an iPhone! 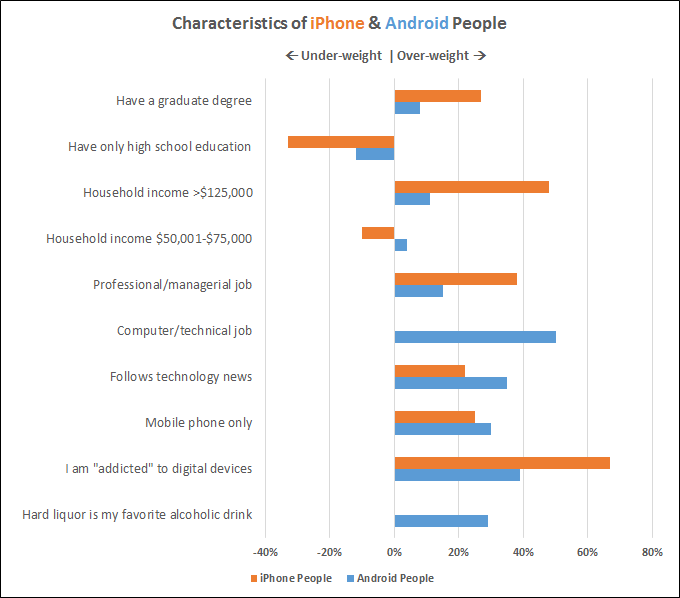 And just when you think things couldn’t get worse… sorry fellow Android users, it seems the world thinks we’re alcoholic chavs! Note: Under-weight and over-weight refers to the statistics and potential bias based on respondent type, not body size.